Mr. Mike's Plumbing and Drain has expert professionals trained to do commercial plumbing jobs throughout the Calgary area. 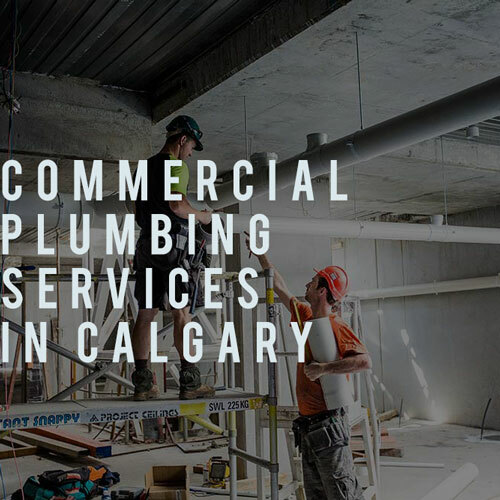 Our Calgary skilled plumbers bring both expert knowledge and experience to the job site and are able to do the installation for new buildings, ranging from restaurants, to hotels, to high-traffic office buildings, and also do the continued maintenance on older ones. Our goal is to do quality work, efficiently, and quickly, while being cost effective for the commercial property manager, with the result being a great final product. Our Calgary plumbers also specialize in jetting, which uses high pressure water to clean and maintain the sewer and drain walls. It is an excellent, cost effective way, to both clean and unclog pipes. Jetting is great preventative measure to keep the integrity of the pipes, and saving from costly repairs if a pipe were to burst due to a clog or built up debris. This method is essential for high-traffic buildings and restaurants. Mr. Mike's Plumbing also offers customers pipe rehabilitation, using unique liners called a cured-in place plastic pipe (CIPPP) inside existing pipes to essentially replace old or leaking pipes or sewer laterals. This saves thousands of dollars in not having to excavate the area or replace the damaged pipes with new ones. Another method to help commercial building is using a digital video camera to maneuver down the mainline to identify any problem areas in the pipe. The camera quickly detects areas that are slow and blocked, and then methods can be used to solve the problem. This too helps the customer in identifying a problem area before it becomes a bigger problem, and again saves the customer money. 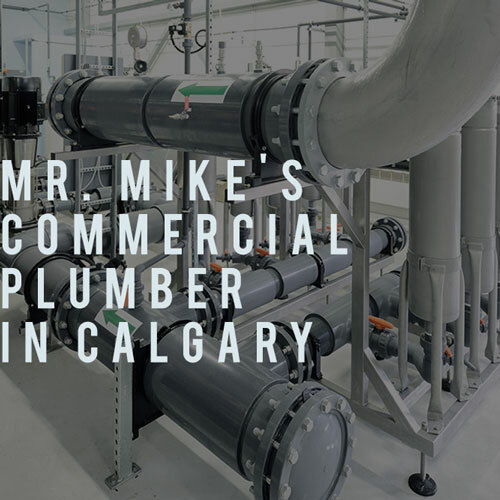 Mr. Mike's Plumbing and Drain is your one-stop-shop for all your commercial Calgary plumbing needs. Our expert knowledge, quality of work, and money saving products enables us to do great installation work for a new building, and gives us the ability to come in and do excellent preventative maintenance. At Mr. Mike’s Plumbing we consider ourselves experts in all areas of the business, including both the commercial and residential side of the business. However, commercial systems can prove to be significantly different from residential systems. When it comes to jobs of this nature, hiring a firm with experience in this field is highly recommended. Throughout our long history as a company, we have compiled many years of experience dealing with commercial equipment. Whether you have a large office building in Calgary, AB or a warehouse in Airdrie, we have the experience and knowledge to get the job done right. Mr. Mike’s Plumbing technicians have a wide breadth of knowledge in the logistics of commercial plumbing systems, taking the time to do things right. We train our workers to take the upmost amount of care for your equipment, and back that with nearly a century’s worth of positive reviews. 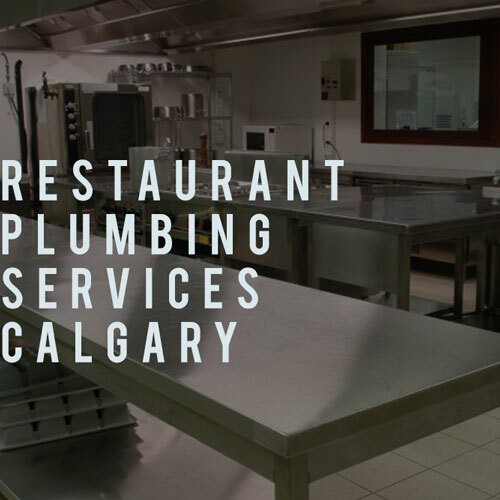 We offer full commercial plumbing Calgary services. Whether you are in the market for a job related to Calgary HVAC, or major installation/replacement related to Okotoks furnace replacement, we have the products and services you need to ensure an heirloom quality of work. To increase the flexibility of our ability to meet your needs, we also offer seasonal start up and shut down services, to allow you to live life on your terms without worry for the functionality of your business. Installing HVAC and plumbing systems in commercial settings are a complicated process. For inexperienced contractors, this could prove a time consuming experience, meaning huge delays up until your new facility is functional and open for business. We know the business, and offer both our resources and many years of experience behind your new HVAC and plumbing systems, working with you to find the perfect arrangement for your building that will stand the test of time. We’ve seen everything from Calgary HVAC all the way to Cochrane HVAC and have discovered one key thing; When it is time to replace certain components of your HVAC and plumbing systems, it takes years of experience to not only do the job quickly and effectively, but to do it the right way as well. At Mr. Mike’s Plumbing , we will not only remove the old system but dispose of it as well. Afterward, our team will help to develop the perfect replacement system to fit your business’ unique needs. Over time, old HVAC and plumbing systems can deteriorate. These deficiencies will drain your wallet as a result of the increased energy bills, repairs and damages to your building that can occur from a broken system. If you’ve noticed lagging performance from your system or simply suspect there could be a problem give us a call. We offer free estimates on all our work and will immediately send a technician over to address your unique needs. To avoid costly repairs and/or replacement of your commercial HVAC and plumbing systems, we recommend regular servicing by one of our technicians. This not only helps to avoid major repairs to your system in the future, but also ensures maximum efficiency levels from your business’s system. We believe honesty and integrity in our pricing is essential in establishing our reputation as a company, and that enabling the customer’s ability to know their cost is an essential part of any good business model. With this in mind, we offer FREE Estimates on all major projects related to HVAC and plumbing, all the way from Beltline, Calgary to Edgemont, Calgary.